Home / Blog / Apply to bring Bike Week 2019 to your community! Apply to bring Bike Week 2019 to your community! 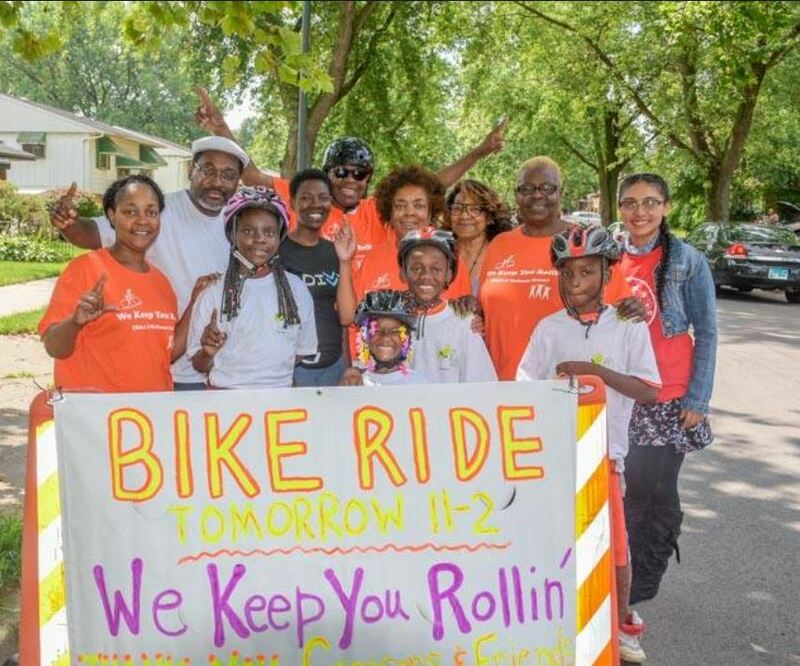 Active Trans is pleased to announce a mini-grant opportunity to support community-based events during Chicago Bike Week, which will be held June 21 – 28, 2019. This funding opportunity will award four grants of $250 each. Applicants are encouraged to be creative and there are no limitations on the types of events that may be supported. It could be a series of community bike rides, an educational workshops, a bike repair demonstration, or any number of other events. Competitive applications will focus on promoting biking and integrating local Active Trans advocacy priorities, including but not limited to Bikeways for All, Vision Zero, Chicago River Trail, and Lake Calumet Area Parks & Open Spaces. Applicants are also encouraged to identify and include partnerships with other local organizations or activities. All grant recipients will be required to collect signatures in support of the Chicago Bike Walk Fund, an Active Trans campaign in support of dedicated funding for biking and walking projects through the Chicago Department of Transportation budget to be implemented equitably to communities that are either Vision Zero High Crash Areas or historically disinvested community areas. Any group or organization based in the City of Chicago is eligible to apply regardless of 501(c)3 status. However, due to the small size of the grants, we ask that all resources be spent on direct expenses and not staff time or salaries. To apply, please submit a written application that includes the information outlined below. Applications should be no more than two pages and should be submitted no later than April 19, 2019. Your completed application can be emailed, along with any questions, to Julia Gerasimenko: julia@activetrans.org. Program description — please provide a detailed description of your proposed event. Advocacy focus — please describe how your event will support local bike advocacy efforts. Program budget — please share a simple budget indicating how you will spend the mini-grant. Please mention any additional financial or in-kind resources you will use in support of your event.